With more than 150 different career paths available to Soldiers, the Army offers a huge array of ways to serve your country. But, there are also countless ways Soldiers can relax and enjoy life outside of their duties. Meet some of our Soldiers, learn about their jobs, and find out how they spend their free time. Filter their stories using the categories below. Launch your career through the Army Reserve. Learn more about Specialist Aveon Bland’s job as an Aviation Operation Specialist and how his experience will help his future career. An Army physical therapist earns a doctorate and a living. Students play an important role in the Army. Learn how Second Lieutenant and physical therapy student Janice Preston helps Soldiers heal while getting an education. JAG Corps attorneys hit the ground running. In the JAG Corps, you are given immediate responsibility. Captain Sabra Owens explains why the JAG Corps is different from any other civilian law practice. Forging a path in the Army Dental Corps. Learn how Major Armando Aguilera found his place alongside the experts in Army medicine as an oral surgeon. An Army Public Affairs Officer: serving her community and her country. Through the Army Reserve, Captain Jennifer Huntsman enjoys the role of keeping the Army connected with the local community and appreciates the confidence she’s gained from it. 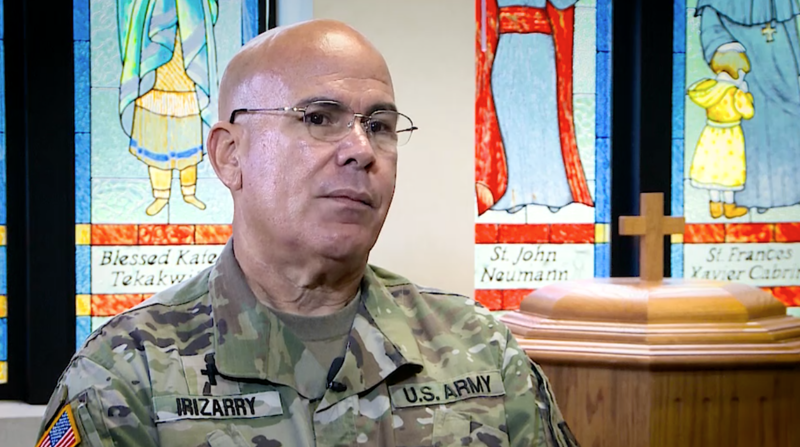 Chaplain (Lt. Col.) Alan Irizarry shares his experiences of serving as a priest and Army chaplain and describes the requirements and roles of a chaplain. Climbing the corporate ladder thanks to the U.S. Army. The skills you gain from ROTC can help give you the competitive edge wherever you choose to go. Learn how Major Otto Padron has used his ROTC training to achieve his dream job and how it has helped him climb the corporate ladder.